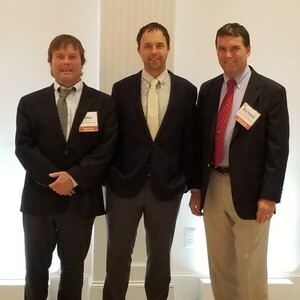 Associated Builders and Contractors, Inc. hosted the Annual Excellence in Construction Award Dinner on October 25, 2018. All State Construction received an award as the subcontractor for KBE Contractors on the UCONN Putnam Refectory Project. Pictured Left to right, Pete Pare, Marc Pare, Richard Pare.